Menstrual Irregularity is something that is a problem many women experience particularly either before having children, between children, or after completing child bearing. In other words, it is a very common problem. It occurs especially frequently as women get into their 40′s and 50′s, before the periods finally stop. Either the periods are too long, or too heavy, or they are too frequent or too painful. What I will cover next will be the basic approach to assess the problem so that the appropriate treatment can be offered. The average period lasts about 4 to 6 days and some people are just lucky to have a period that only lasts 2-3 days with light flow. Whereas, others may experience 7-8 days of moderate to heavy flow. If a person has so much bleeding that they are unable to leave their home, then that is a heavy period! The amount of bleeding for a normal period also varies from person to person. On the average, not more than about 2 ounces (or about 60 mL) of blood are lost. For someone with a heavy cycle, the amount of blood lost could be significantly more than this. And once a person has a period that lasts more than 10 days, this is TOO long; it is definitely time to talk to your doctor about the periods if this is what is happening. Conversely, if your periods are occurring more frequently than every 21 days (from the first day of one cycle to the first day of the next cycle), then this is also more frequent than normal and you should be addressing this with your doctor. Symptoms that would indicate that you are loosing too much blood each month and could possibly be anemic (or have low iron), include feeling fatigued, dizzy, lightheaded, drowsy, having shortness of breath with minimal activity, or wanting to chew on ice. are there any other associated symptoms, such as dry skin, weight loss or gain, hot flashes, night sweats, pain or cramping besides fatigue, dizziness, or fainting? what was your cycle normally like before the bleeding problems started? are you taking any medications that may affect your menses? 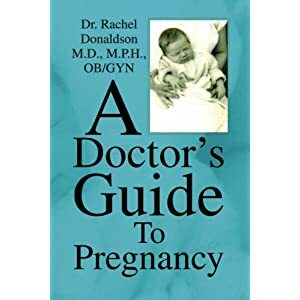 and are there other pertinent factors related to your prior medical history, surgical history, family history (particularly in relationship to bleeding disorders), and your current family planning methods, that may have a bearing on the problem? Of course your doctor will want to examine you–to check for conditions that can have an effect on your menstrual cycle such as thyroid conditions, and enlarged uterus, pregnancy, etc. In addition, certain blood tests may be ordered. A pelvic ultrasound may be a helpful test as well. Now if you end up having all of these tests and there is still not an answer, then there is a choice between 3 other tests which may give the answer to the bleeding problems. The first is an endometrial biopsy, the second is hysteroscopy, and the third is a D & C (or dilatation and curettage). The endometrial biopsy is usually done in the doctor’s office, the hysteroscopy can be done either in the doctor’s office or as an outpatient procedure, and the D & C is usually done as an outpatient procedure with some form of anesthesia. They all have similar risks: infection, bleeding, and the potential for uterine perforation (or making a hole in the uterus, accidentally of course). The endometrial biopsy involves passing a small narrow, usually plastic, catheter into the uterus through the cervix in order to get a small sample of tissue that can then be analyzed by the pathologist–this is a medical doctor who specializes in evaluating tissue under the microscope. This test can cause some cramping (similar to a bad period), and there may be a little bleeding afterward, but it is normally done without any form of anesthesia, and takes less than 5 minutes to do. Any cramping that occurs with the process ends shortly after completing the procedure. For those individuals who have a low pain tolerance or who have been bleeding so heavily or for a long period of time that it is necessary to stop the bleeding, then a D & C would be offered. This can be done with a general anesthetic, with a spinal anesthetic, or with local anesthesia (and perhaps a little sedation). In this procedure, the cervical opening is stretched a little in order to be able to insert equipment that can scrape off the lining on the inside of the uterus. Some doctors will combine the hysteroscopy with either the endometrial biopsy or with the D & C, in order to actually look inside the uterus to find polyps or irregular areas. Once the procedure is done, your doctor will want to discuss the results with you at a later visit as it normally takes several days to get the pathology report back which hopefully has the answers for you. Now what are the main problems that contribute to menstrual or bleeding abnormalities? One of the most common is related to the thyroid gland–if it is underactive or overactive, period problems can occur. Irregular bleeding can also occur in situations where a person is not ovulating because of polycystic ovary. In this situation there is a considerable build up of tissue in the uterus which then bleeds for weeks on occasion, especially after an episode of no periods for a few months. The pathology report can show chronic proliferative changes or even hyperplasia (too much tissue and gland formation), or endometrial polyps. These are thought to be due to too much estrogen and not enough progesterone, (an estrogen dominant condition). Another source of irregular bleeding is endometritis, or a low grade infection in the uterus that causes bleeding to occur between periods. This bleeding may not be heavy, or it could simulate the bleeding that one has with the usual cycle. The endometritis could be acute (meaning developing over a short period of time) or chronic (meaning developing over a long period of time). Needless to say, there are also fibroids (or smooth muscle tumors in the uterus), and last but not least, endometrial cancer. This is not an exhaustive list, but basically covering the most common problems. I will cover the treatment options of these various problems in “Bleeding Abnormalities, Part II”.